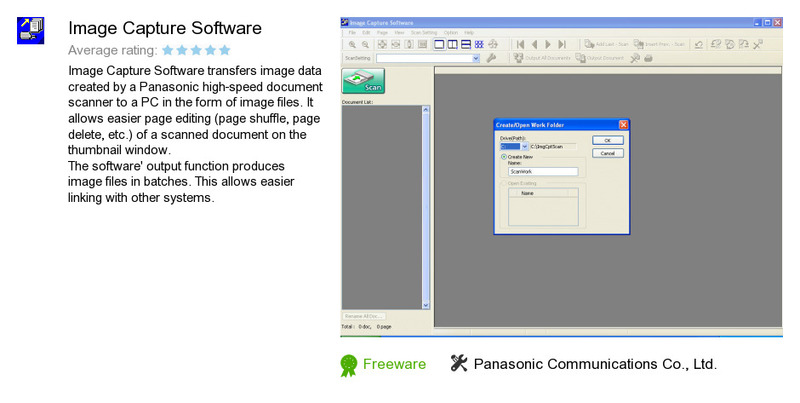 Image Capture Software is a program developed by Panasonic Communications Co., Ltd.. We know of versions 3.7, 3.6. Version 3.7.0.24 is available for download at our site. Image Capture Software installation package has a size of 20,316,426 bytes. Panasonic Communications Co., Ltd. also publishes Panasonic Quick Image Navigator and Quick Image Navigator.